We love the baby range at Parragon Books and again we have just received another lovely book that is loved by both Zach and Elsie. 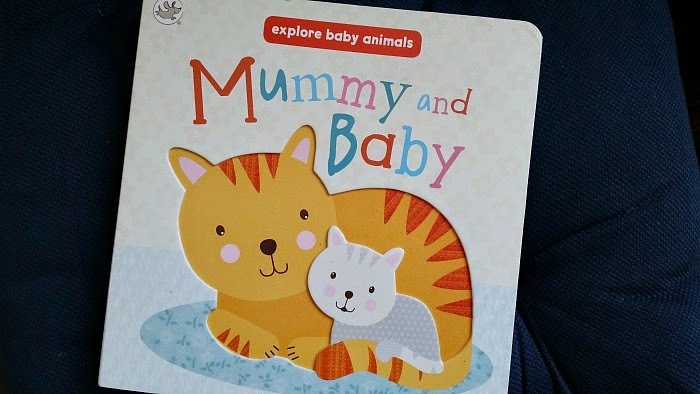 'Mummy and Baby' is a new addition to the Little Learners range. With raised and cut out shapes inside the book that fit together in each spread, the book helps children explore important concepts in a fun new way. Exploring the lives of baby animals can be very exciting. Learning about their names ie. baby dog is puppy, and that they have Mummy's and Daddy's just like we do. It is great to start conversations on what the animals like and where they live especially for the toddlers. 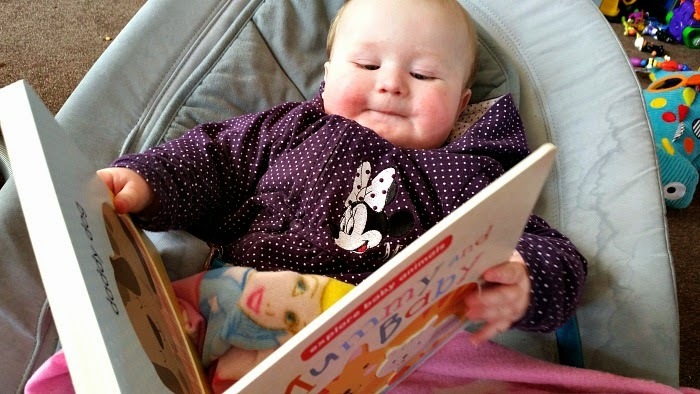 It is also a lovely book for babies, being a board book it can survive the hands of even the most tough of babies, ours has gained a small soggy patch in one corner as it is apparently very tasty but apart from that it looks perfect. Elsie loves the bright colourful pictures and touching the raised and cut out surfaces inside the book. We were sent the item featured free of charge as part of the Parragon book buddies review club. All opinions are my own.